IGLA is not an amusement park, play land, or miniature golf. IGLA is for golfers who know the power of a perfectly crushed drive, the elegance of a precision pitch and the miracle of a long putt. IGLA is a virtual golf facility with over 72 real life and fantasy courses from around the world. 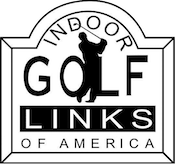 We are your ideal destination for the ultimate indoor golf experience. Established over 20 years ago, in 2005 owners Ace and Nudyia expanded IGLA to be the largest Full Swing golf facility in the world. The expansion provides players with the newest technology and the best accuracy giving you the most realistic indoor golf experience. Our simulators allow you to play courses or advance your skills by practicing driving, chipping and shot accuracy. Better your game by tracking your scores and stats through our technology. Stats include shot length, distance from target, trajectory and ball speed.